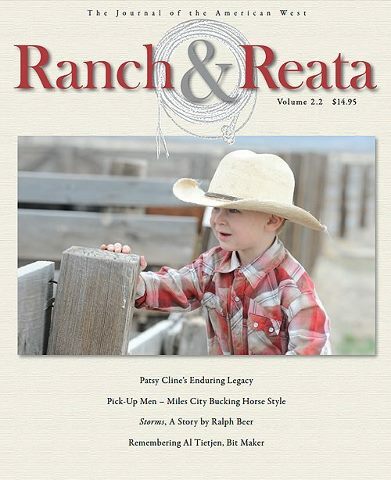 Ranch & Reata magazine, June/July 2012, is once again an issue packed with great writing…from the front cover to the last page. A.J. Mangum, Bruce Pollock of Range Radio, along with their contributing writers (including Paul Canada) have pieced together another timeless keepsake print issue of, “The Journal of the American West”. Dear to me are pages 17, and 38-44. These pages have stories and photographs covering how cowdogs are used in various parts of the United States in varying ranch operations. 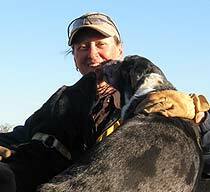 Articles packed with good information about the various uses each of the ranching operations have and how their varied cowdogs are key to getting the cattle work done. My contribution to the articles on these pages were to share the story of “Bert” and how his gave himself to my ranching operation…both in his earthly life and his everlasting life in Heaven. Bert lives on through his sons, daughters, and now his grandbabies. http://www.ranchandreata.com has an on-line version of their magazines and remember to click on and crank up Range Radio while you are getting things done on the worldwide web. If you get a few minutes, you might look for www.ranchandreata.com on the web. Plus, subscribing to the print-version of this magnificent publication is a monthly “I can’t wait to get it” treasure when it lands in your mailbox. Hangin’ Tree Cowdog/Puppy Fraud…You Got Your Dog Where? Well, it is Sunday afternoon and I have been returning a few phone calls. I have once again, “Learned a lot.” I spoke with 3 people that had some questions about the pups or cowdog that they “recently” got from me. And, as it turns out (again) the pups &/or cowdog did not come from me. Over the last few years, there have been periodic phone calls very similar to this scenario. Pups or cowdogs from me that are/were never truly from me. Two of the people today sent me faxes of the “registration papers” and pictures of their pup or dog. While the papers show parents that are owned by me and are signed, the signature that is to be my signature “IS NOT MINE”. I keep a database of pictures of every pup in every litter. This database goes back to 2006. I know exactly what has been produced in every litter and what the pups look like. I raise my own pups. I have a cowdog breeding program with specific goals. I DO NOT BREED MISSY A TO STUDLY B JUST BECAUSE SHE IS IN HEAT AND HE IS AVAILABLE. I DO NOT HAVE OTHER PEOPLE RAISING PUPS FOR ME. I DO NOT HAVE OTHER PEOPLE STARTING PUPS FOR ME. I DO NOT HAVE OTHER PEOPLE TAKING YOUNG DOGS AND RUNNING THEM FOR AWHILE. I DO NOT FARM OUT DOGS FOR OTHERS TO START AND THEN TAKE THEM BACK TO SELL. 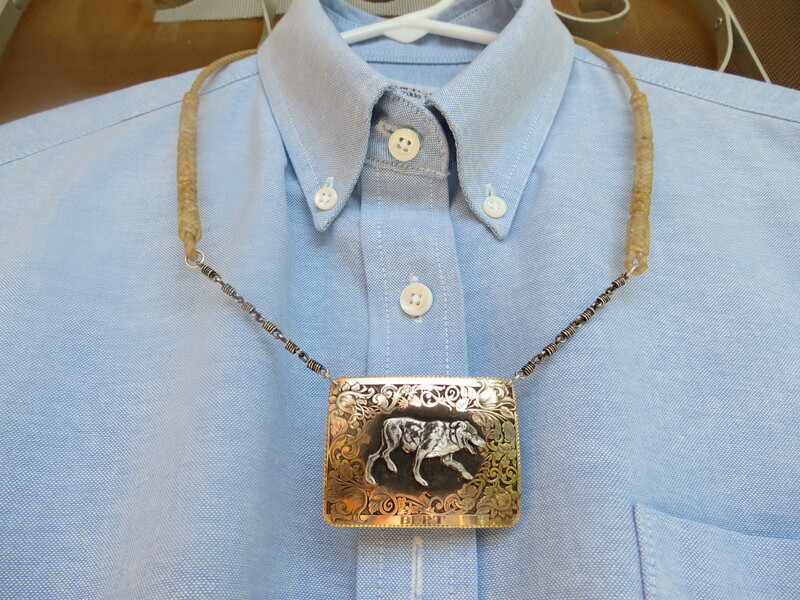 Yes, I know that this is going on with other Hangin’ Tree cowdog folks. I do not TRADE, LEASE, SWAP, BORROW, MILL, LOAN, BROKER dogs. Yes, I know that is how some people operate. But, you need to know that some people are driven by money…checks, cash, swiping of a credit card, etc. If you want a Hangin’ Tree ‘something’…well, they have what you need. If you are not happy with the hundred or so that they have for sale or access to, well, wait a day or two and they will find you one. I feel lots of things when this kind of stuff continues. But, if you want to know if a pup or cowdog came from me, then simply call or write. I can answer your questions. It is easier to check things out before you pay for the pup or dog. But, it is your deal. These situations are unfortunate and will probably continue…simply because the word “honesty” seems to have varying definition levels. And when the goal is “money”…well, you probably get the picture. I know that there are dogs on sites that say they are out of parents “such & such”. And that “so & so said”. But, if in doubt…check it out before you actually buy something. Because what you might end up with is “something”. I might be explaining all of this out of experience. I hope this helps. And, it should also help explain why I have a “closed cowdog breeding program”. Those papers might just be a piece of paper. There are possibly way too many “papered” dogs. Just a thought.